Dye your pond water. 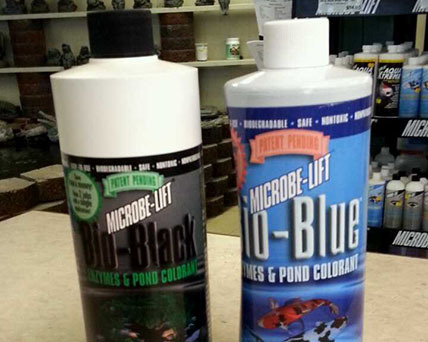 We carry blue water dye, and black water dye. Looks sharp, and helps reduce algae growth.